The Light Table IDE got a fairly major update a few hours ago by releasing the Light Table 0.7.0. And the 0.7.1 release was out just one hour later with few bug fixes. moved to the latest node-webkit and are now able to track nw’s progress directly since the menu changes made it upstream. 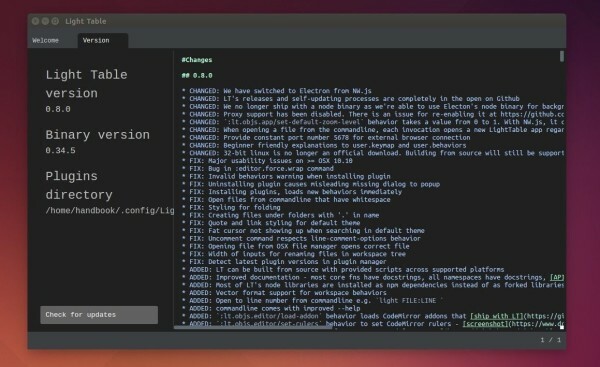 The official website provides the binary packages for Linux. 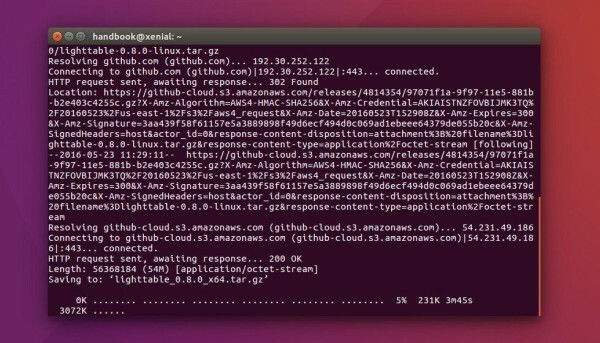 Here is how to install it in Ubuntu Unity. Tested in Ubuntu 14.10, should also work in Ubuntu 14.04 and Ubuntu 12.04. Depends on your OS type, select download Linux 32-bit or 64-bit package. 2. Once the downloading process finished. 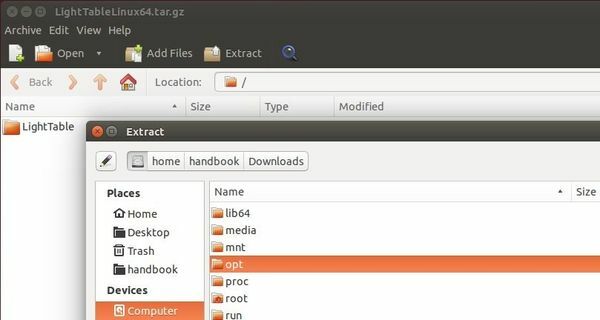 Press Ctrl+Alt+T to open terminal, and then run the command below to open the Downloads folder as root (Administrator), so that you have the privilege to extract the package to /opt/ for global use. 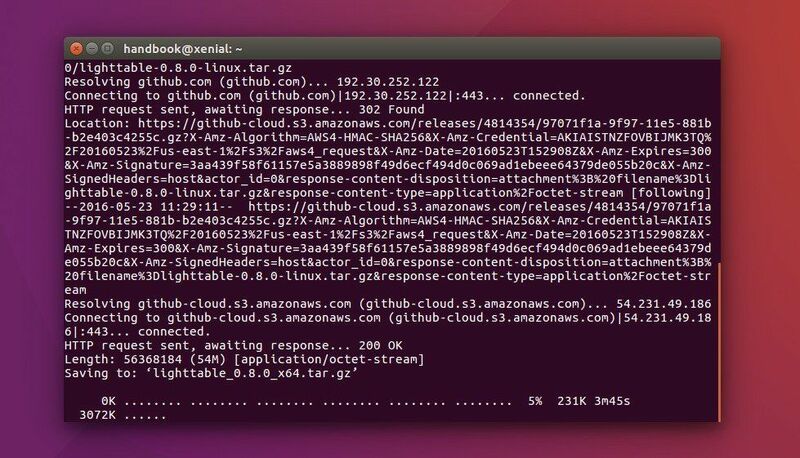 You need to install gksu from Ubuntu Software Center if you don’t have it installed. 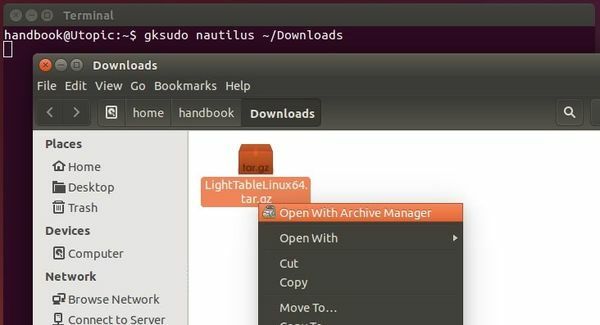 When the folder opens, right-click on the package and select “Open With Archive Manager”. 3. Once the package opens, click the Extract button and select extract to Computer -> /opt/. When done, close the Archive Manager and the Downloads folder. 4. If everything’s OK, let’s create an app shortcut so that you can launch it from the Unity Dash or Menu. When the file opens, paste below into it and click the save button. 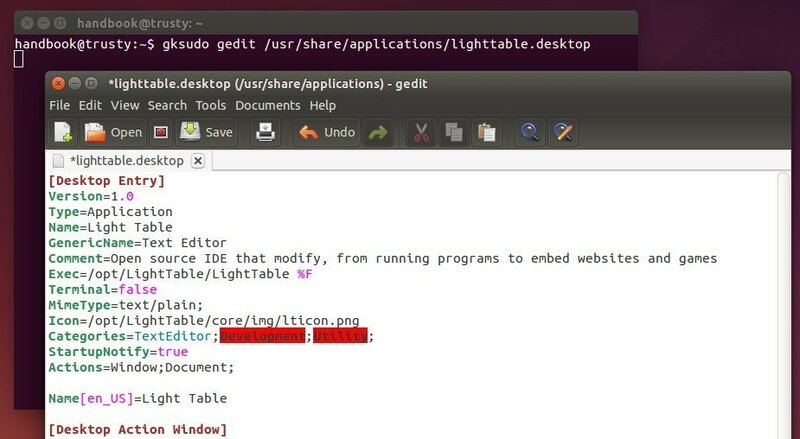 Finally start Light Table IDE from the Unity Dash or Menu and enjoy! 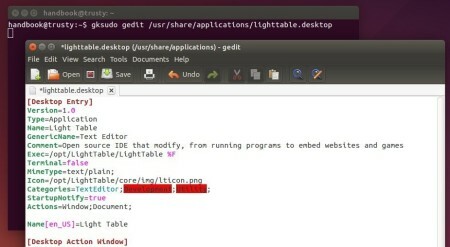 Light Table IDE 0.6.0 has been announced recently with the exciting news that Light Table is now Open Source. All the code is now on Github. Today Light Table is taking a huge step forward – every bit of its code is now on Github and along side of that, we’re releasing Light Table 0.6.0, which includes all the infrastructure to write and use plugins. If you haven’t been following the 0.5. 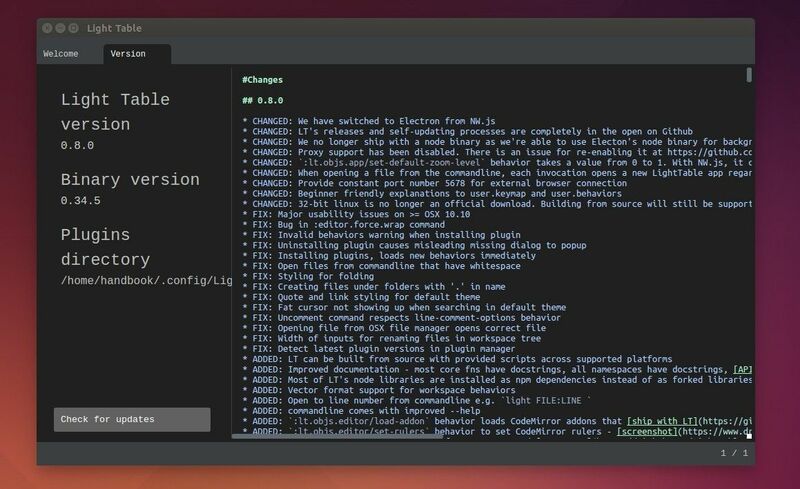 * releases, this latest update also brings a tremendous amount of stability, performance, and clean up to the party. All of this together means that Light Table is now the open source developer tool platform that we’ve been working towards. ADDED: the statusbar is now in it’s own container with find on top of it. 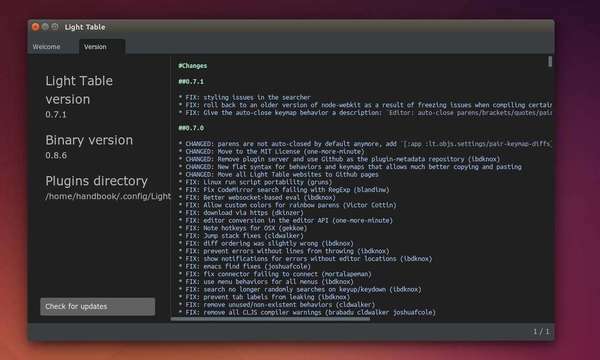 FIX: scrolling in the command and navigate panes should be orders of magnitude faster. 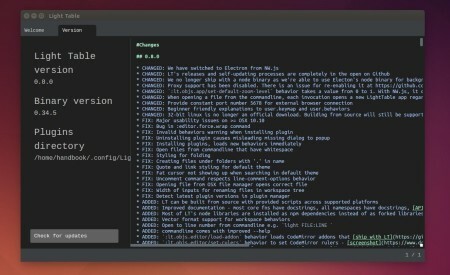 See this post if you have problem installing the IDE on Ubuntu.